iOS 4.0.1 has just been released by Apple for iPhone 4, iPhone 3GS and iPhone 3G to fix the reception issues which has been problematic for most iPhone 4 users since its launch last month. 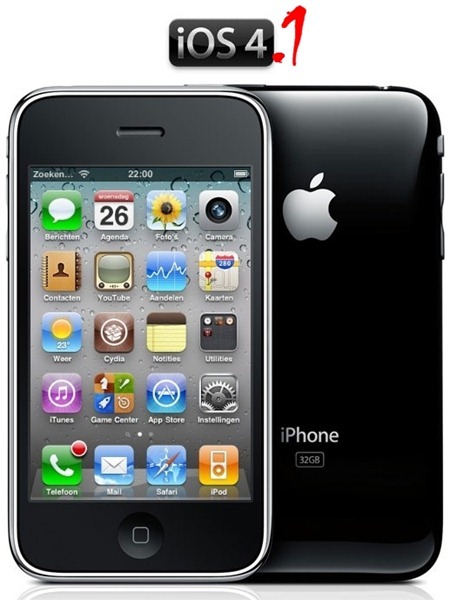 iPhone 3GS and iPhone 3G users who currently rely on an unlock MUST STAY from iOS 4.0.1 until any further notice. Updating to iOS 4.1 might result in update of baseband, which will potentially lock your phone. You wont be able to unlock it until a new exploit is found again. Comex: 3.2.1 and 4.0.1 out. if you want an unlock, DO NOT UPDATE. No, the jailbreak is not ready yet. We are currently testing iOS 4.0.1 and will report back as soon as we have more on it. Stay tuned !! – YOU HAVE BEEN WARNED ! 4.0.1 DOES NOT CHANGE YOUR BASEBAND!!!! need help I updated my iPhone 3GS to 4.0.1 through apple and i wanna know how can jailbreak and unlock it??? Can some body help to comeout of this..
Can i downgrade it to 3.2.1, i know how to jailbreak once it is downgraded to 3.2.1 ?”?? Can i jailbreak and unlock with 4.0.1 ??? I have 3gs with 4.0.1 version, baseband 5.13.04. Please, I would be so glad, if anyone can help me regarding this case. My email: elnur_1828@yahoo.com.